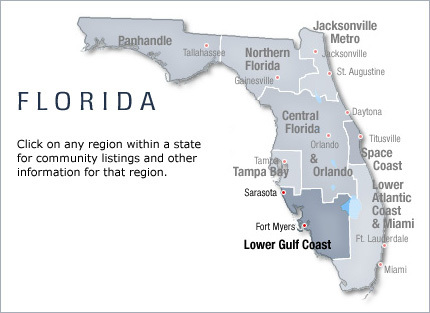 The Lower Gulf Coast is a region of Florida located along its gulf coast, south of the Tampa Bay area, west of Lake Okeechobee and mostly north of the Everglades. It consists of five coastal counties from Manatee County south to Collier County, although it sometimes is considered to include three rural counties inland, and the thinly populated mainland section of Monroe County. As of 2000, the population of Southwest Florida was 1,500,846. A 2004 US Census Bureau estimate places the region's population at 1,704,155, a four year growth rate of 13.5%.